Suddenly on Wednesday, March 27, 2019, Lucille (Metcalfe) Murray passed away in her home with family by her side. Lucille was predeceased by her parents Lucille (Rose) in 1926 and Russ Metcalfe in 1984, step-mother Myrtle (Smith) in 1971, aunt Myrtle Rose in 1982, son Trent in 1962, husband Tom Murray in 1986 and brother George in 2009. She will be forever missed by her son Dean, daughters; Sharon (Doug Blight), Nancy and Ottilie (Len Bakuska), along with her grandchildren and great-grandchildren. Lucille was born on June 10, 1926. She spent her childhood on the Rose and Metcalfe farms and attended school in Portage la Prairie. After graduation, she was employed at the Bank of Montreal until she began her training at the Winnipeg General Hospital. Lucille graduated with the Class of 1948, and nursed at the Sioux Lookout Hospital, CNR Railway, the Cancer Treatment Centre and her favourite, the Victorian Order of Nurses. Lucille married Harry Thornton in 1948, and Dean arrived in 1951. In 1956, she married Tom Murray and moved to Poplar Point where they operated the General Store and expanded their family to include Sharon, Nancy, Ottilie and Trent (d.1962). Tom and Lucille retired in 1984 and enjoyed travelling. After Tom’s passing, Lucille returned to her home town and began once again. She enjoyed friends and family, and found pleasure in watching the activity and geese along Crescent Lake. 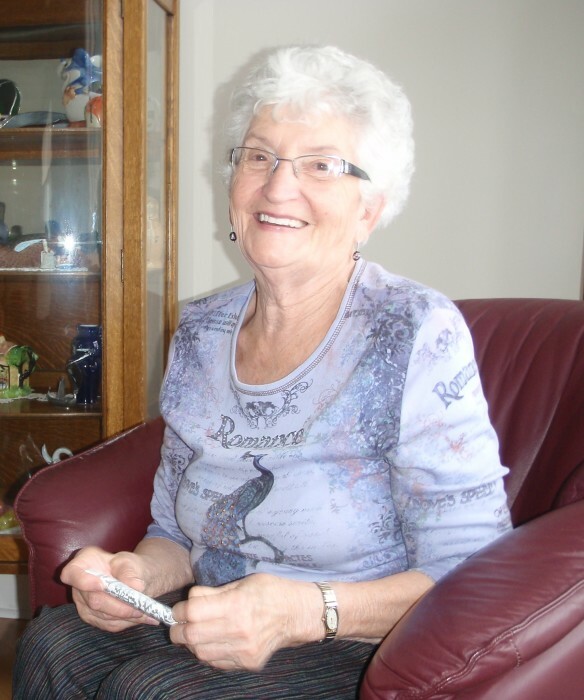 A Memorial Service for Lucille will be held on Friday, April 5th, 2019 at 1:00 p.m. at the Trinity United Church, 15 Tupper St. S., Portage la Prairie, MB. Private family interment. Family and friends will remember her smile, warmth and kindness.